Is it a gamble or is it a calculated risk? That is what many fans were left asking after the Under Armour SpeedForm was introduced to market earlier this year. 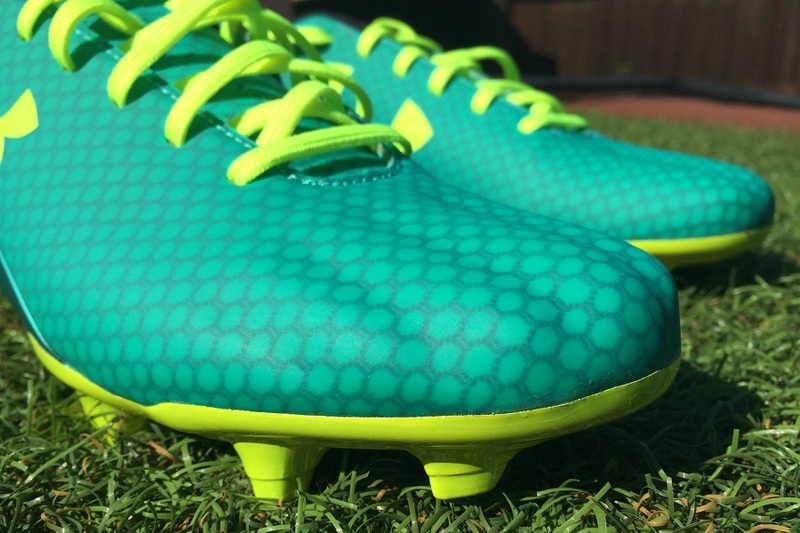 Having signed up Memphis Depay as their key player, UA decided to unleash an extremely quirky, new style design. When you check out the boot for the first time, you are bound to immediately spot rolling ridges layered across the forefoot. This is the articulated toe-box design that is intended to promote natural foot shape and a perfect mold. It is bold, daring, and extremely unusual. Thankfully, we’ve spent some expensive time with them, trying to figure out what they have on offer and how they mold over time (that would be about two months at this point.) 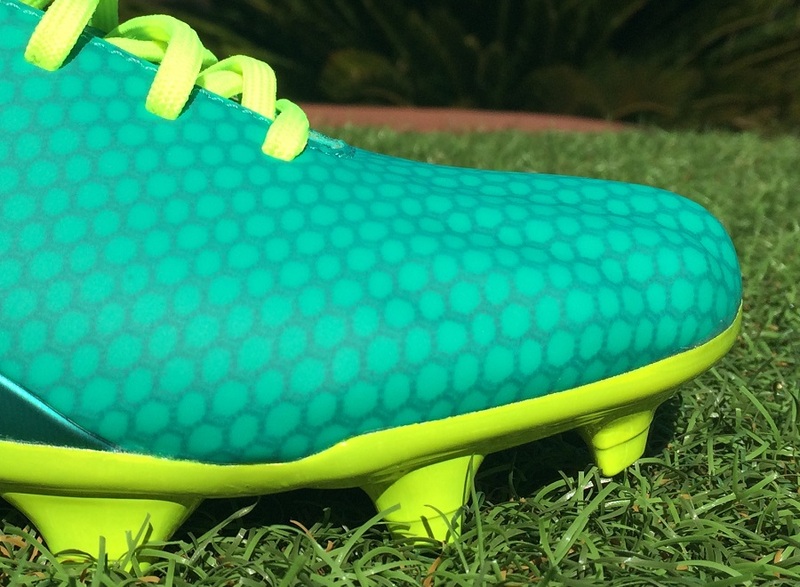 Check the review and what makes these a definite boot to explore for a certain type of player. Find the SpeedForm available at soccer.com. 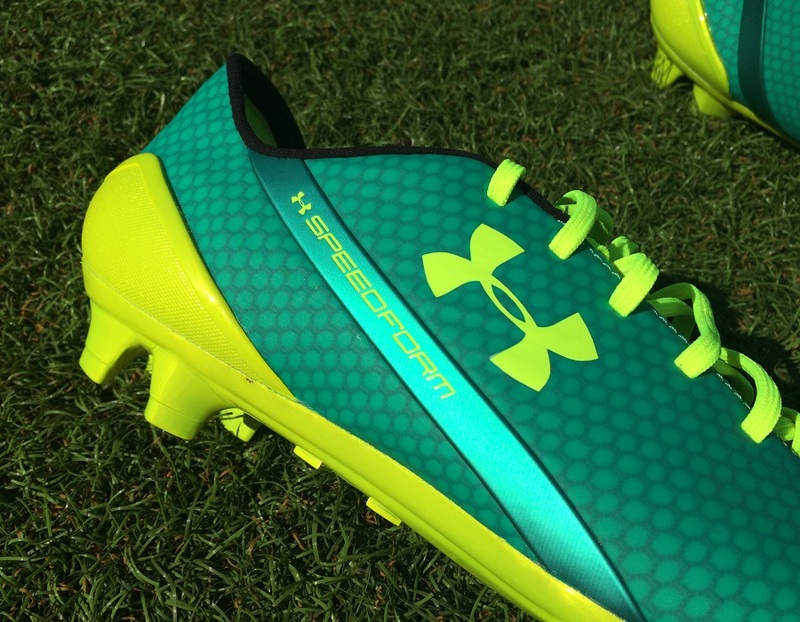 What a crazy design, one that really sets the UA brand apart from other mainstay releases. And the fact that the design makes sense – mimicking the natural shape of your feet – creates an increased sense of intrigued into what they have on offer. But a design like this has to work, otherwise there is potential that fans will lose interest in future UA releases. 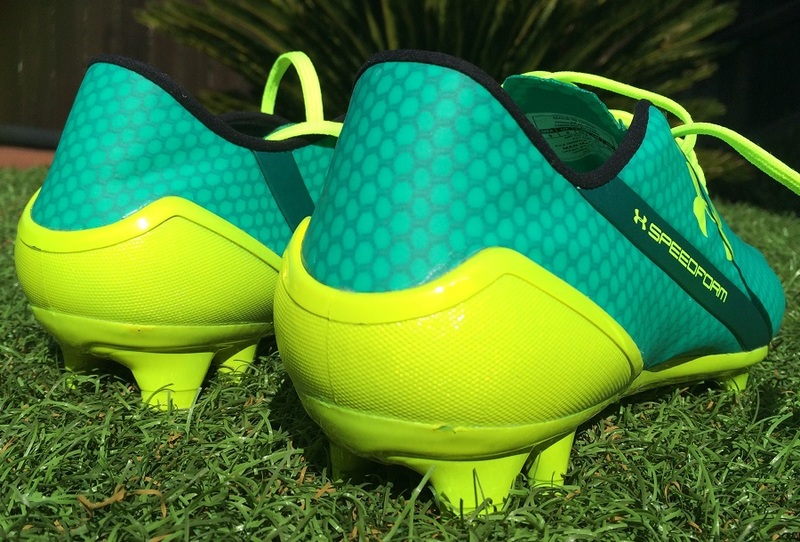 Without a doubt, the highlight of these boots is how comfortable they are through play. If there is anything UA consistently does right it is ensuring your feet are padded and protected in just the right ways. The first thing to note here is that there is no insole in these shoes, so the inner lining is built in and can’t be removed. That is obviously important to factor in if you use an insert. But man, the construction inside the boot is just pure perfection. So, the important question first; what is an articulated box toe? UA use a single piece upper with the sport’s first-ever articulated toe box area in play – the ridged area seen across the forefoot. Following the contours of your toes, it is intended to mold perfectly to the foot to eliminate distractions. 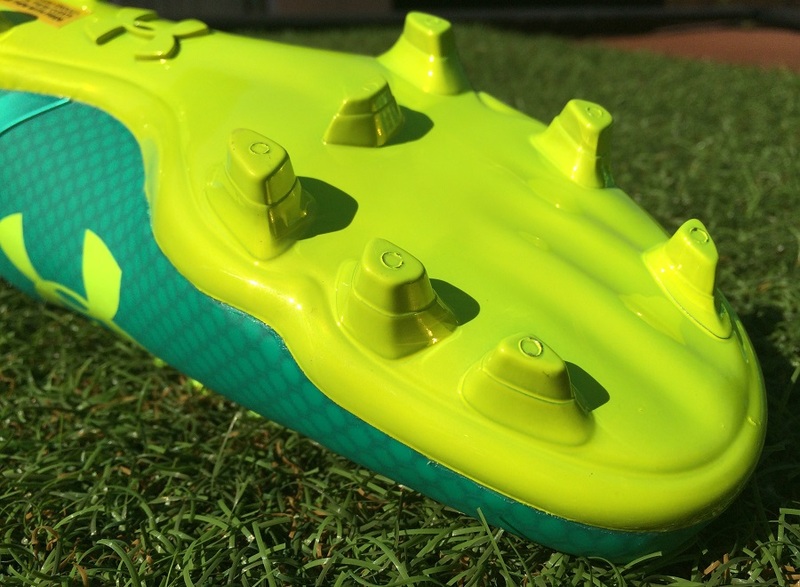 This is UA’s attempt to change the standard of fit and feel in boots designed for the sport’s fastest footballers. How does it feel and play out? Initially, I was concerned that it might be misshaped to my foot and cause discomfort, but that is not the case. The material is very flexible and easily conforms without any rough or tough to breakdown spots. 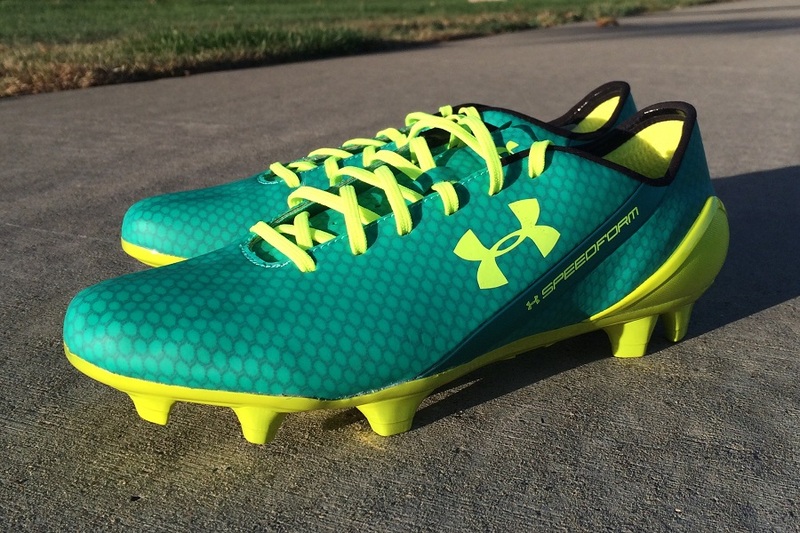 UA has somehow shaped the synthetic in a toe like design without using a fully molded design. To the touch, it almost sounds like there is a paper layer somewhere in between the upper synthetic layer and the inside mesh. 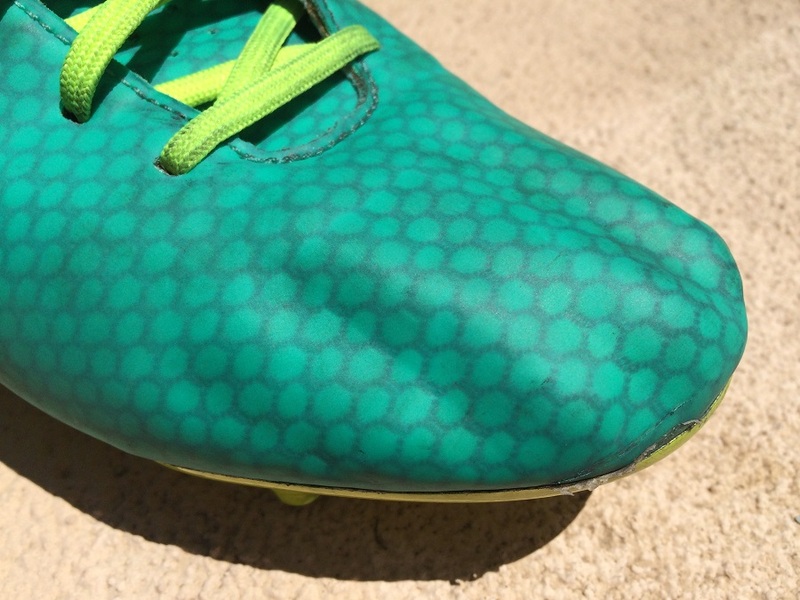 Visually, you can see an underlay cage system in play that forms the aesthetic design of the boot. It has the appearance of a wire fence, but it is very pliable and simple acts as a structural support system. In terms of touch, the overall composition is about as natural as you can get – I can’t get over how supple it feels for a synthetic and how it still provides adequate support right across the forefoot. Over time, it definitely molds and most players will end up with one of the best shaped boots they have ever experienced. Speaking of “over time”, we’ve also got a section for that down below! At 7.8oz, these boots don’t line up as one of the lighter on the market, but they are well balanced and proportioned for a high level of acceleration. With Memphis Depay on board as their key player, UA has the correct player to really highlight what you can get from the SpeedForm. Everything about the boot is streamlined and very sleek. From the one-piece upper material to the polished, chrome soleplate everything comes together in a very speedcentric way. A unique element of the soleplate is the message that UA places on each boot. Seen above, it points out the fact that a layer of chrome paint on the sole is likely to crack over time. Thankfully, this in no way will alter the performance. What it does do is give the boot any extremely sleek look as you take them out of the box. Toward the front of the sole you will also see a layer of ridges that look similar to what is on top of the boot. At first, I thought this might mean that there were grooves inside the boot for your foot to sit into, but that isn’t the case. 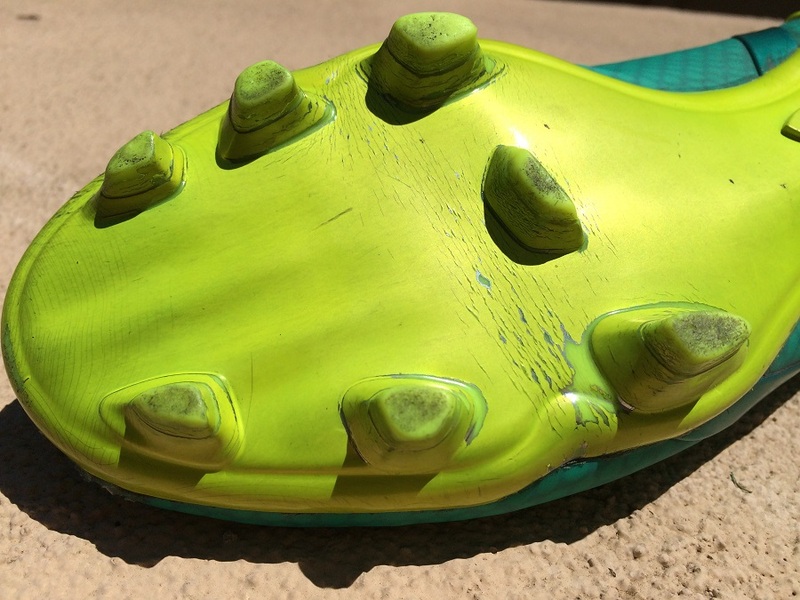 The soleplate is flat underneath your foot, with these grooves just adding a visual effect. Very much true to size and extremely comfortably. UA has created perfect dimensions right through the forefoot of this boot, with a definite true to fit length and a nice spacious width. If you have any concerns about the ridges of the articulated box-toe, don’t be. The material is very soft and molds to your foot shape. So, even if you have a wider fit, the boot tends to shift and refocus to your particular needs. Since I’ve had these in testing for 2-months, they have suffered the wrath of adjusting to my foot shape. The upper is very much molded, almost to a state of misalignment. They have help up well, I’ll let the image speak for itself. 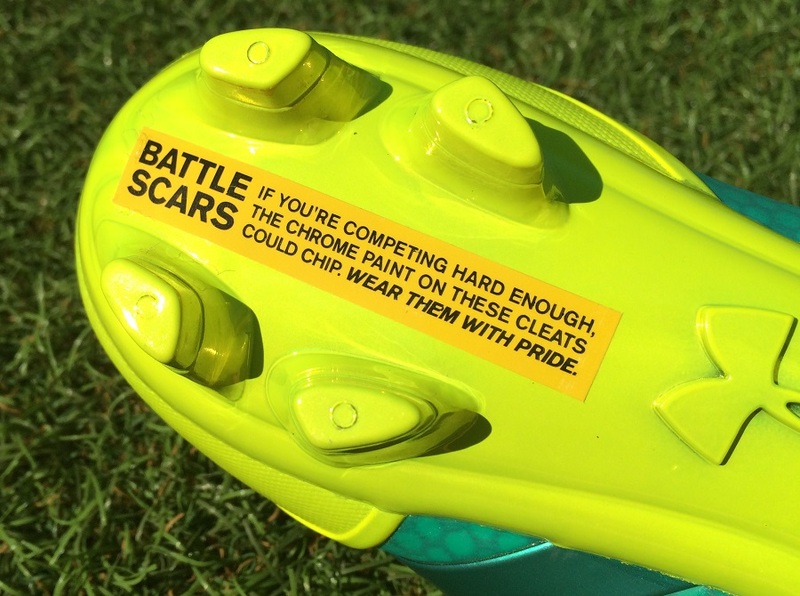 Also to note, the soleplate and that chrome paint job have started to chip – so you know what to expect over time! This is a solid effort from UA and they continue to produce better and better boots. There is just something about these that makes me believe there is a way of improving these even more. Players that wear them will be truly satisfied and the majority of this review has been extremelly positive. But lets put that into perspective in the fact that expectations are not quite as high as they would be for an adidas or Nike release. I’m hoping, and already looking forward to, the next generation release in this series! If you are looking for a pair, Find the SpeedForm available at soccer.com. 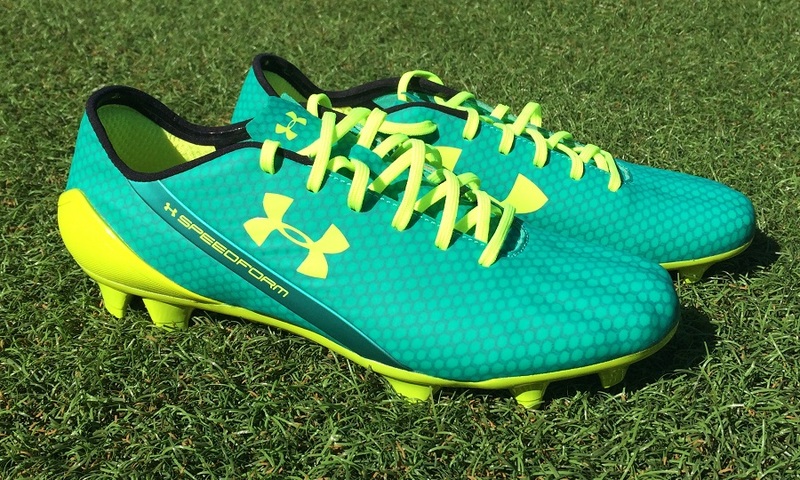 Highlight: A quality and very comfortable release from UA that increases their stake as a player in the market. Features a unique, ridged style forefoot that adapts to your foot shape. Would I Buy Them: I like these a whole lot, so yes. My only concern is their $220 price tag, something that is sure to turn other players off trying these out. Player Position: Anyone who likes to attack or get involved going forward. The fact there is a focus on comfort means they are suited for outside defenders as well as wingers. A quality and very comfortable release from UA that increases their stake as a player in the market. Features a unique, ridged style forefoot that adapts to your foot shape. Anyone who likes to attack or get involved going forward. The fact there is a focus on comfort means they are suited for outside defenders as well as wingers. Thanks for the review. I purchased the "Leather" version, and the comfort is amazing. I enjoyed them so much I may order the synthetic version like you reviewed. Thanks again. Buying myself one! Thanks for the great review! Have you tried the Leather versions? How do they compare? I did, and the leather was real nice. But for what they are about, I prefer this version and the articulated toe-box design. Even though that shape doesn't fully conform across your toes, it gives a unique type of performance.